My son, Matthew Oiyan Parkhill, was born on Monday 26th September at 04:18, at the Royal Jubilee Maternity Hospital, Belfast. He weighed in at 5 lbs 9 oz. Mum and baby are doing well. 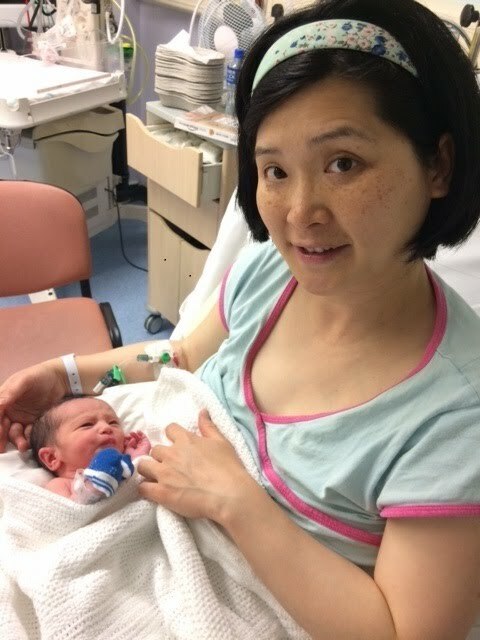 Mei and I would like to pass on our thanks to everyone at the Royal Jubilee Maternity Hospital for all their help during Mei’s & Matthew’s stay, especially the midwives Patricia, Deirdre and Heidi. We won’t forget their many kindnesses to our little family. Matthew comes from the Hebrew name Matityahu, meaning ‘Gift of God’, and Oiyan comes from the Cantonese for ‘Love and Grace’. I am super-behind on blog reading, congrats man!